Well. 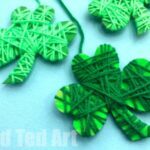 we do love a good St Patrick’s Day Craft for Preschool. 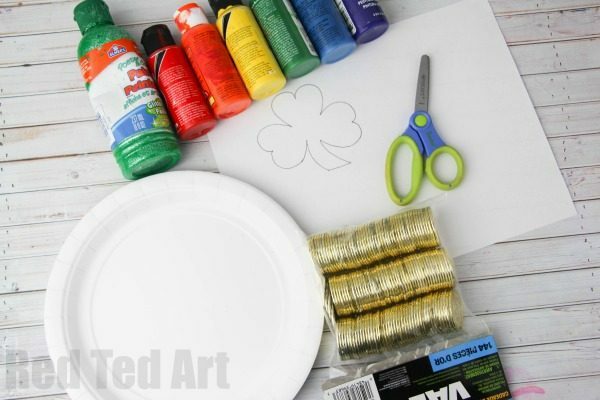 If you are looking for some gorgeous St Patrick’s Day Shamrocks and St Patrick’s Day Rainbows to make with toddlers, you may want to give this simple DIY Musical Instrument ago: A Paper Plate Tambourine for St Patrick’s Day! 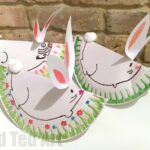 These Paper Plate Tambourines are fabulous DIY Shaker Toys and make a great simple and super cute St Patrick’s Day Craft for 2 and 3yrs olds. 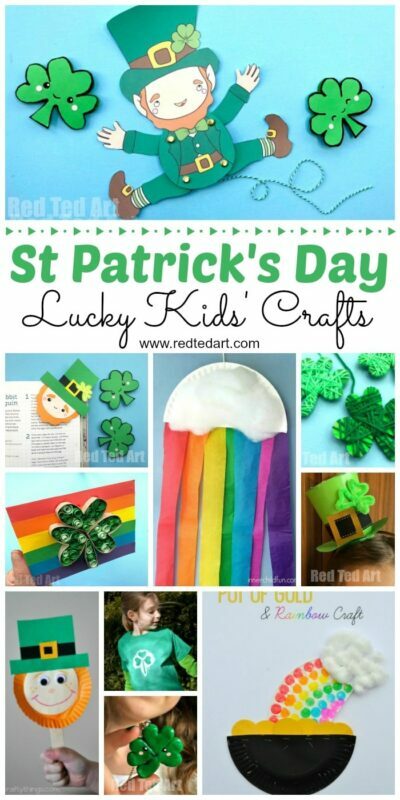 We do love a fantastic Preschool St Patrick’s Day Craft. 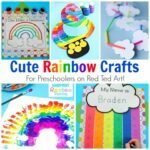 I welcome back another lovely Toddler Craft contribution from Jennifer. One of my daughter’s favorite crafts that we made for Valentine’s Day was our Stained Glass Heart Tambourines, so I knew that she’d want to make another version for St. Patrick’s Day. 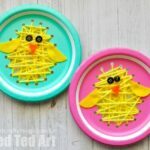 Both are super cute and easy for kids to do. 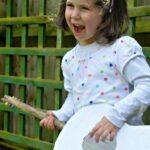 The window on the Shamrock Tambourine needs some adult assistance, so if you want an exclusively kid-made tambourine, opt for our rainbow version instead! Rather than use perler beads (as we did for our Heart Tambourine) I thought it would be fun to add gold coins to make the rattling sound in these tambourines. You catch a glimmer of them when playing and it adds just a bit more magic to this craft. 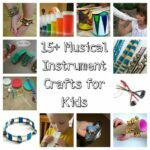 You can really have fun with your design.. either make your Tambourines complete green.. or completely rainbow.. or have them “reversible” – a lovely green shamrock on one side and a rainbow on the other. 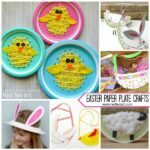 We give you instructions for making 2 Paper Plate Tambourines today! 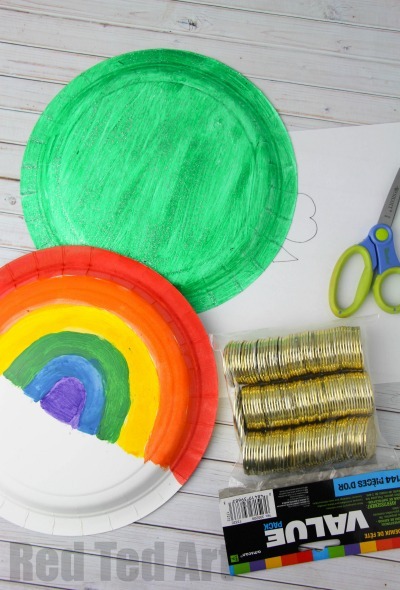 Paint the underside of two of the paper plates with green sparkly paint and let dry. 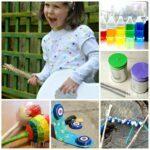 Let the paint dry completely as you prepare the plastic recyclable for the “window” into the Green Tambourine. 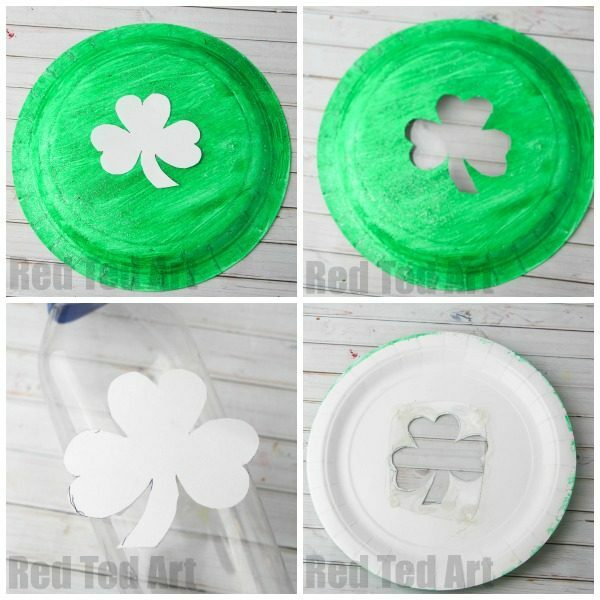 Cut out the shamrock template provided and cut a slightly larger piece of plastic to cover the hole you will be cutting in the paper plate. Ensure the plastic is clean. When the plates are dry, trace and cut the shamrock shape out of one or both green sparkly plates. Glue the piece of plastic to cover the shape – you may need to place something on top to hold it as it dries. 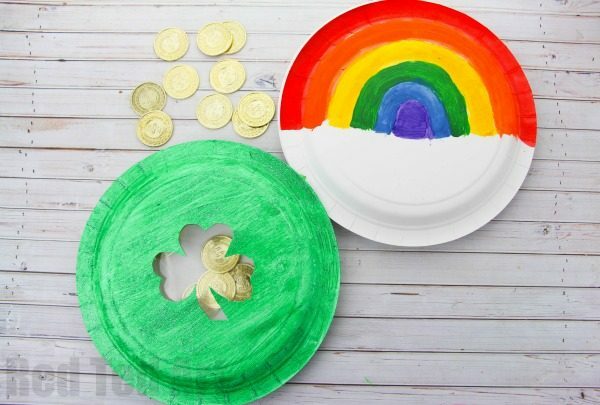 Scatter 6-8 gold plastic coins onto one green sparkly plate and also the rainbow plate. Glue the second sparkly plate so that the lip of the plates are touching (undersides facing out) to form a tambourine. Repeat with the rainbow plate. Let glue dry before shaking. Enjoy!! 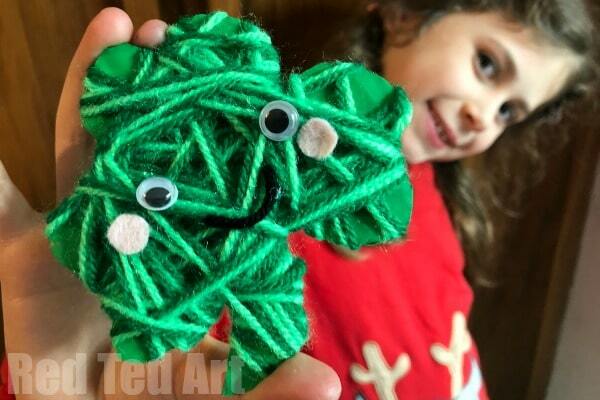 This cute and easy Preschool St Patrick’s Day Craft! !